The AC unit is only available on the CRDe models and not on the ones that are powered by the Di engine. The company has also address the security concerns by fitting an engine immobilizer. Unfortunately, the Thar still does not get a hard top which might work against the cooling of the AC. 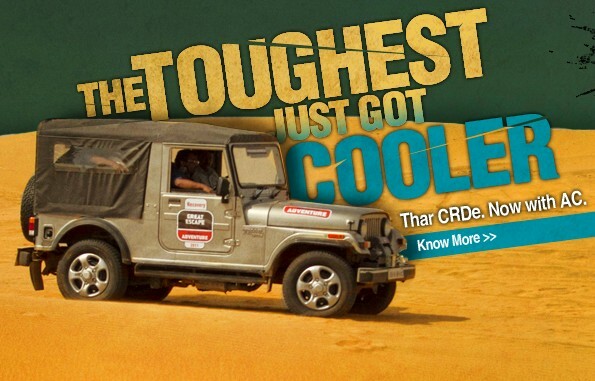 The Thar CRDe 4×4 is powered by a 2.5 litre CRDe engine that generates 105 bhp and torque of 247 Nm. The engine is mated to a 5-speed transmission, with a 2-speed four-wheel transfer case. The Mahindra Thar is a very niche product and adding more essential features will only make it a more attractive buy.